﻿At Corpus Christi Carpet Cleaning Pros, we have the experience, expertise and equipment to get the job done right at the first attempt. Your kid spilled juice, your pet ran over with dirty paws, you come home to a house flooded with water, your office carpets haven't been cleaned in years, or you're moving into a new home. These are all situations where your carpeting requires cleaning right away or you need emergency water extraction for the flooding. We are a fully insured family-owned business. We specialize in carpet cleaning and tile cleaning in Corpus Christi and the surrounding areas. Cleaning a carpet is by no means a simple task, as the texture, quality and fiber type have to be considered. For thorough service, it is always a good idea to opt for trained, experienced professionals. We offer both residential and commercial carpet cleaning services. We provide our clients with consistent, unique services, ensuring the results exceed their expectations. We pride ourselves on being available when you need us, especially if you have an emergency situation. We are equipped with the latest in industry technology, enabling us to deliver superior service which impresses all our clients. We hire experienced and trained professionals and enhance their skills to ensure they can deliver the quality of service our clients expect. We offer services throughout Corpus Christi. There are a number of reasons why Corpus Christi Carpet Cleaning Pros provides you nothing less than perfection when it comes to carpet cleaning. And that is primarily because of the techniques and methods we use. For example, we use both hot and cold water injection extraction methods, combined with our cleaning solutions. 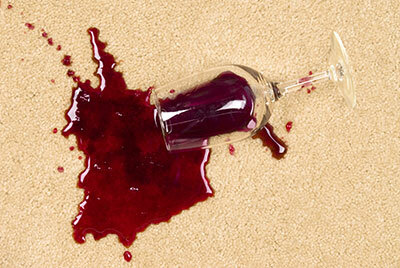 This way, we are able to gently remove all stains and dirt from the carpet, rendering it clean and fresh. At Corpus Christi Carpet Cleaning Pros, we use the latest technology and the current best practices to remove dirt and stains. 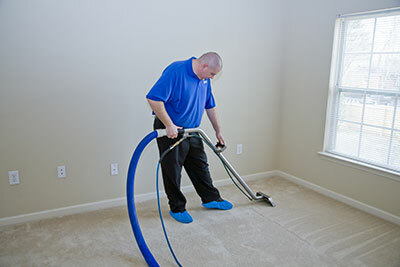 We take each of our service technicians through an intensive training process, so they are well informed and knowledgeable on the carpet cleaning processes. We also strive to be service professionals. We take care not to damage your property and our service technicians know how to provide excellent service to our clients. In our experience, we have dealt with carpets soiled and damaged due to different causes. This has enabled us to analyze the condition of your carpet with an expert eye and determine the extent of the job. We take our time to inspect each inch of your carpet and identify the problem areas, i.e. those which require extensive cleaning and treating. This allows us to decide on the best tools to use for the cleaning job. Then, we decide on the right method for cleaning the carpet, ensuring any debris, dirt and stains are removed. Once we are done with your carpet, it is will be clean and fresh. At Corpus Christi Carpet Cleaning Pros, we offer a wide range of residential and commercial carpet cleaning services and emergency water extraction for home or office water flooding. A pipe bursts at your office, the washing machine water line breaks at your home, or flooding from torrential rains in Texas can lead to a water flooding emergency and you need a crew on the scene quickly to prevent additional water damage. Give Corpus Christi Carpet Cleaning Pros a call. We are available 24/7. 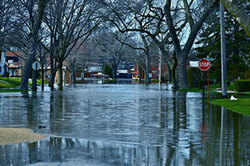 We do more than just clean carpets, we can clean up water flooding the floors at your home or office. When it comes to covering walls and floors, tiles are the best option that a majority of people, both commercial and residential go for. Almost every household and office bathroom is covered with tiles. Kitchens too are floored using tiles as they are quite cost-effective. With that being said, over time, your kitchen and bathroom tiles will tend to get dirty around the edges. All the dirt and dust can make your tiles look unpleasant. At Corpus Christi Carpet Cleaning Pros, we employ the best solutions for cleaning your tiles, removing the toughest of stains around the edges. A clean and well kept house will reflect a positive personality of the homeowner. The one common thing you will find in any home is upholstery. Failing to maintain your upholstery can ruin it, making it appear dirty and annoying. On the other hand, cleaning your upholstery every week or so can be a daunting task. We take care to apply a protectant to your furniture and fabrics for an added layer of protection to prevent future spots and stains. At Corpus Christi Carpet Cleaning Pros, we can clean your upholstery using efficient and effective solutions to get the job done in the shortest time possible. 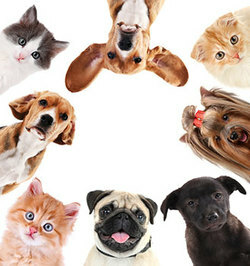 There is no doubt that sooner or later, your pet is going to soil your carpet or rug and leave an unpleasant odor. Needless to say, it isn’t the most pleasant experience having a carpet in your home which smells like your pet, not to mention it’s unhygienic. Most dogs and/or cats become persistent in marking their territory inside your house over and over again, which can be a hassle, especially when you are not home, which means it is going to dry up and give you the stink of a lifetime. ​Apart from the foul pet odor on your furniture, a stain can appear on any surface. At Corpus Christi Carpet Cleaning Pros, we are experts at identifying the source of the foul odor and eliminate the smell and the stain entirely, leaving your furniture clean and as good as new. We perform a preliminary analysis of stains before applying the right methods to cleaning. On top of that, you don’t have to worry about any residual stains after cleaning. Regardless of where you have bought your intricately designed and patterned rug, it is important to understand each intricate pattern reveals the story of how a good expensive rug can be. If you think about it, each rug will tell all about the people who so carefully and gently created the rugs, and if you look closely, your rug may even tell you about yourself. In short, rugs are an integral part of home decor. From a health perspective, it is important to know that cleaning your rugs every now and then can help you prevent allergies from all that accumulated dust, dirt, lint and germs. This is especially needed if you have small children at home. On top of that, stains on your expensive rugs can really make them unappealing. That is why we at Corpus Christi Carpet Cleaning Pros provide our clientele with the best in rug cleaning. ​We have different methods for cleaning different types of rugs. We understand how expensive rugs are and provide solutions that are effective and provide a more durable solution. And with round the clock service, you can call us any time to clean your rugs, especially when you are expecting guests over.